Does watching the work of fictional forensic investigators on TV influence viewers? There is a belief that this is the case and that the consequences of people watching shows such as the American crime drama television series „CSI: Crime Scene Investigation“ are filtering through into real life, a phenomenon that has been called the CSI effect. In the worst case, it is feared, potential criminals will learn how to better conceal a crime from these shows. In addition, concerns have been expressed that members of U.S. juries may now have excessive expectations regarding the evidence and as a result are more likely to acquit the accused. A team of psychologists at Johannes Gutenberg University Mainz working under Professor Heiko Hecht have now sounded the all-clear—at least in one respect. In an experimental study, the German researchers have been able to find no evidence of a correlation between watching forensic science TV shows and the ability to get away with committing a crime. This is the first study to look at the question of whether criminals could profit from viewing dramas of this sort. CSI: Crime Scene Investigation is a popular U.S. TV series which first hit the small screen in its home country in 2000. It focuses on the characters and the work of a team of forensic crime scene investigators. The effect named for this series was soon applied to any repercussions that it was held such widely-viewed crime shows had with regard to the general public—including criminals, the police, and potential students of forensic medicine. „Over many years, it was presumed that certain links in this regard exist, although there were no appropriate studies to prove this,“ said Dr. Andreas Baranowski. He and his colleagues at Mainz University have now undertaken four separate investigations of related claims with the aim of obtaining the most reliable possible findings. As a first step, the psychologists took a look at statistics from the databases of the FBI and its German equivalent, the Bundeskriminalamt (BKA), and compared the crime detection rates during the years preceding the launch of the CSI series with the subsequent rates. Then they asked 24 convicted criminals in prisons for their opinions on series such as CSI and whether they thought such shows could help when it came to escaping prosecution. Thirdly, the researchers put together a complex experimental design to find out whether viewers of TV shows like CSI would, as trial subjects, actually be better equipped to erase the traces of an, in this case, mock crime. Baranowski and his colleagues completed their series of trials in the form of a fourth test, in which a crime was re-enacted with the help of a doll’s house. 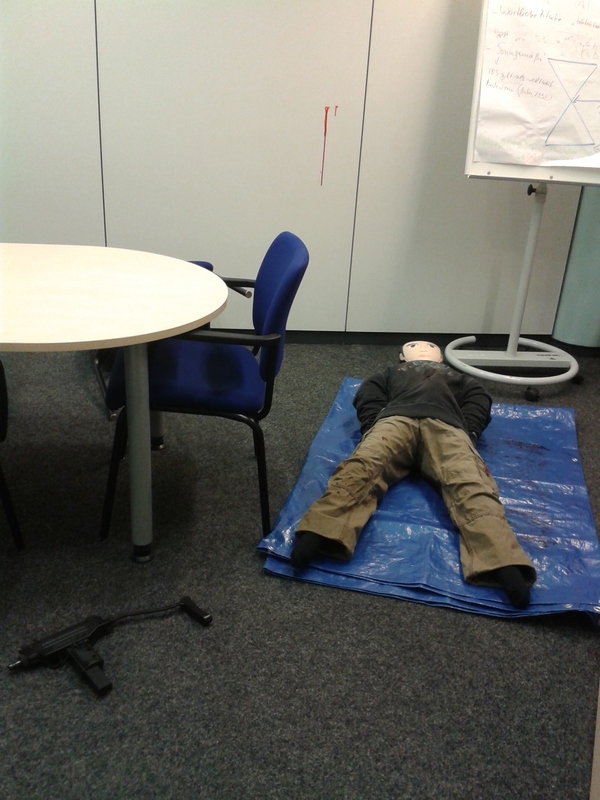 Dr. Andreas Baranowski supervised the study, „The CSI-education effect: Do potential criminals benefit from forensic TV series?,“ at the Division of General Experimental Psychology at Johannes Gutenberg University Mainz and works as a postdoctoral researcher in psychology at Giessen University.